I had hoped that I would be able to post a preview of bears I had made for the Hunt Valley Teddy Bear Show, but as usual I was sewing until after midnight the night before we left!! 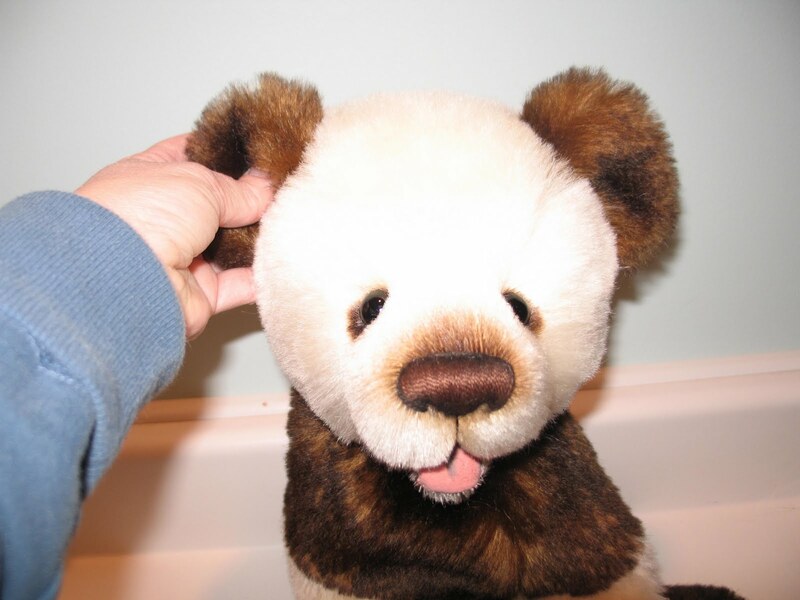 I was finishing up S'more, one of my panda clown style bears which was a special order for a collector attending the show. Here he is as a "Bob" (I call this stage Bob because of that groaner of a kid's joke: "What do you call a bear (man) with no arms and no legs who swims in the ocean?) S'more did have arms and legs at this point, but they were not yet attached! 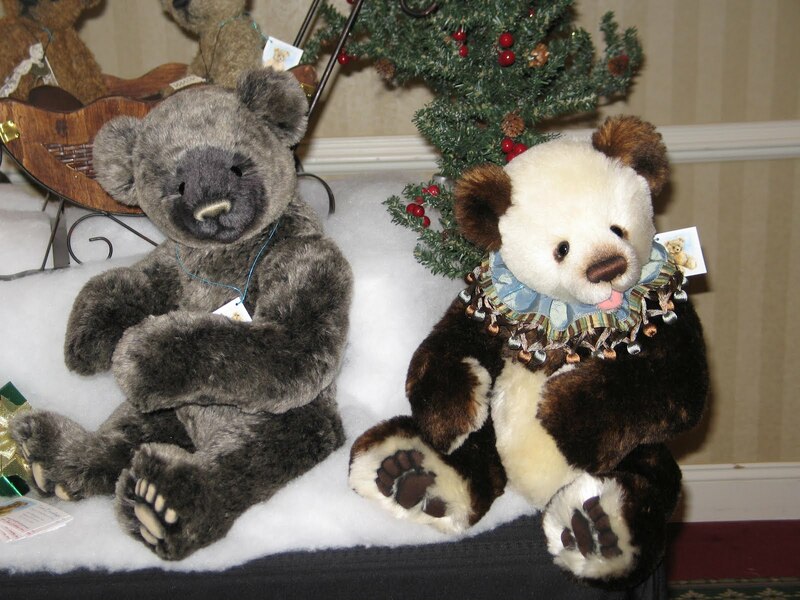 Here are some of the other show bears lined up and waiting for accessories. So instead of a preview, I have for you a review!!! The show was wonderful! The holiday theme had everyone in a festive mood, and I was so impressed with all of the wonderful holiday themed displays and costumes. 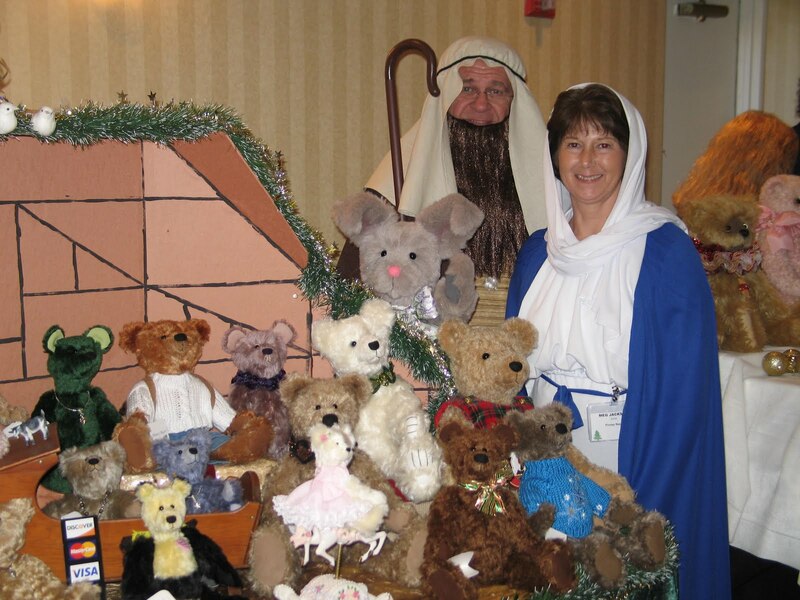 I can't believe I didn't take a picture of the winning table display designed by Marilyn Waggner and her husband. It was a miniature room complete with furniture, a cozy braided rug, and a real stone fireplace!!! I loved these costumes as well. 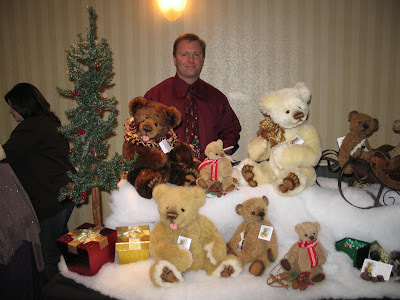 My own table display was fairly simple, but my handsome assistant, and of course the bears themselves were nice to look at! Collectors lined up outside, before the show opened, hoping to get a first peek at the work of their favorite artists. The collectors visited cheerily and shopped enthusiastically! 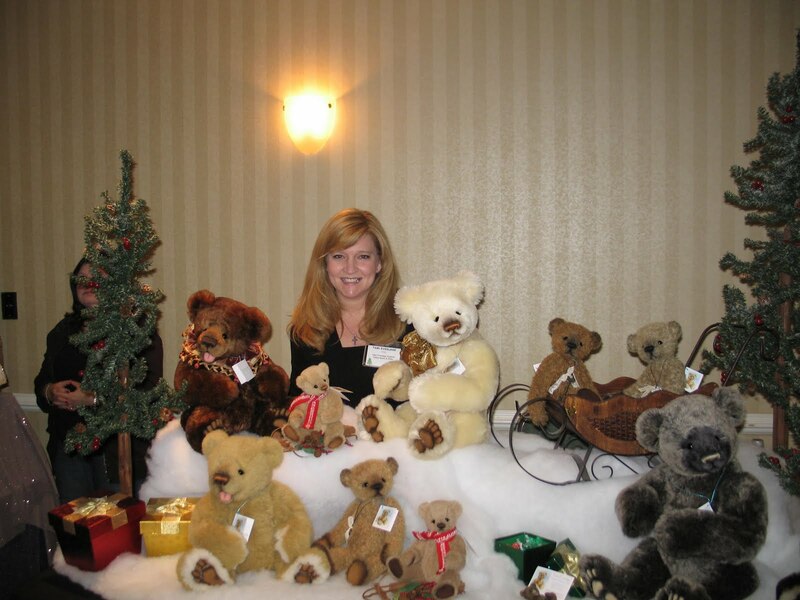 I know I was not the only artist who found new homes for all her bears. As ususal, one of the nicest things about the show was a chance to reconnect with my favorite Teddy Bear people--artists and collectors. My table neighbor was Michelle Lamb. It was lovely to see her again. 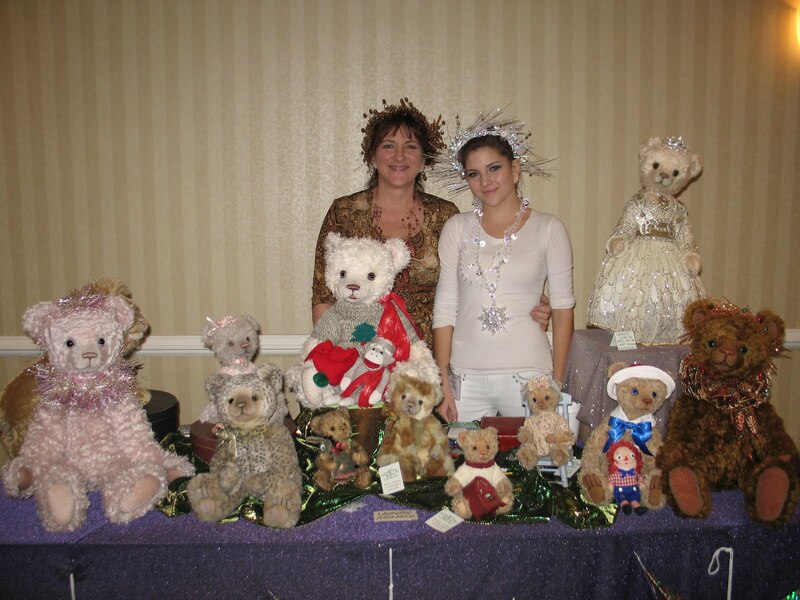 Here she is with her amazing bears and her lovely daughter. It was a great time all in all and I look forward to next year! Tami, the show looks like it was such fun, and I just love the bears you made. 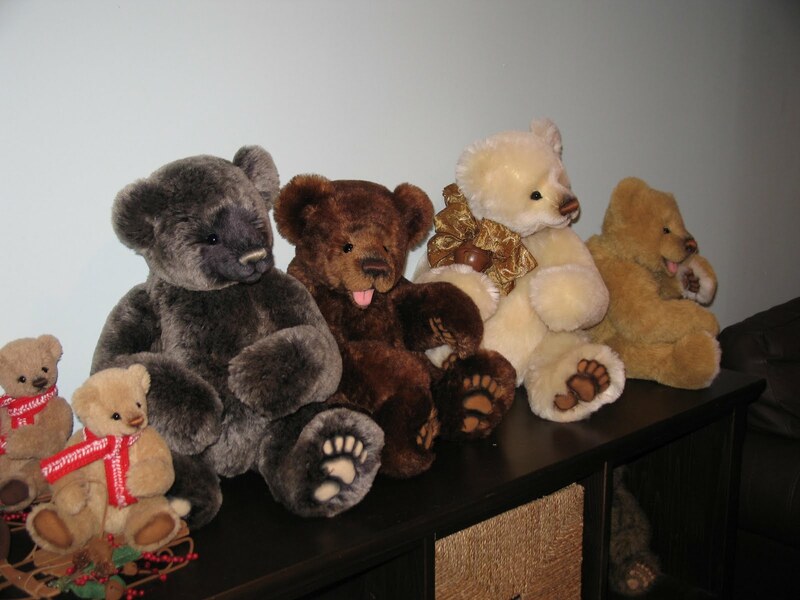 I'm sure the collectors were delighted...congrats for finding homes for all of them! Thank you for the new link, Debora. Or rather not-so-new link- it looks like you've been at blogspot since May!. I'm sorry I am so behind with updating this blog all the time! Yes both fabrics used on S'more are Schulte. They are ones I've had for a while. I love the extra dense mohair they make. It is so soft! 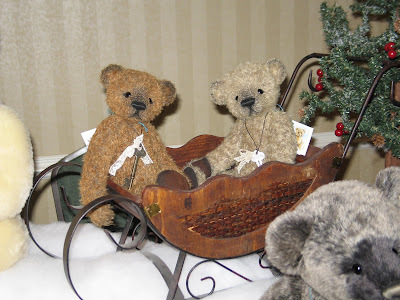 Tami, I am late in telling you that I moved to Blogger, LOL! Thank you for updating my link.